With our stunning gardens and the unbeatable backdrop of the Southern Alps, we are well known as one of Canterbury’s leading venues for conferences and weddings but we also cater for training seminars, product launches, anniversaries and family reunions. In fact any corporate function or social celebration , but conferences and weddings are our speciality. We will meet the needs of your next meeting, convention, product launch or incentive. Our modern Convention centre hosts from 10 to 200 delegates with state of the art technical equipment, full in house conference support, on site catering and only one hour away from Christchurch airport. Mt Hutt's Brinkley Resort is the ideal venue for your next function or seminar. Our conference facility is designed to achieve results supporting up to 120 delegates Boardroom style, 150 theatre style or our centre can be or subdivided into three separate rooms with the use of sound proof partitions. The conference area has underfloor heating and our technical equipment includes an electronic whiteboard, a superb sound system with wireless microphone, slide and overhead projectors, lectern, whiteboards, flipcharts, Sony Data Projector and video combination, facsimile and photocopying service. For a copy of our conference pack please feel free to contact us by email, or call us on +64 3 302 8885 FREE +64 3 302 8885. The information in our conference packs can be modified to cater to the needs and requirements of your organisers and delegates or for your special day. Special ……Book your conference at Brinkley Resort and receive a free night on us ! For every 2 night stay booked in our conference centre you will receive the third day free of charge ….that’s all your accommodation for your whole group and also the conference centre. 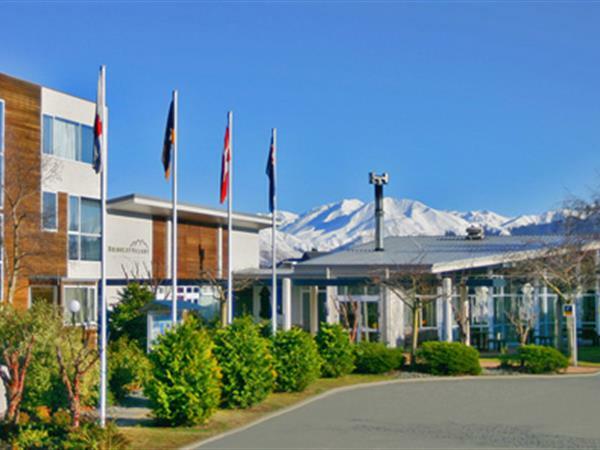 Located just a short 3 minute stroll from the centre of Methven / Mt Hutt Village, Brinkley Resort is surrounded by landscaped gardens and includes a wide range of resort facilities. Brinkley Resort offers quality, self-catering accommodation in studio hotel rooms and serviced apartments. Comfort and value for money are our hallmarks which we have combined with our own special hospitality to give the Brinkley brand an international reputation. Studio Rooms: Studio rooms cater for 1-2 guests & have one queen bed or two single beds on request. All studio rooms have a kitchenette with cooking facilities, ensuite with shower, Sky TV and shared complimentary laundry with the two bedroom apartment. Two bedroom apartments: Well appointed, self-contained, two bedroom apartments cater for 1-4 guests with one queen bed & two single beds. 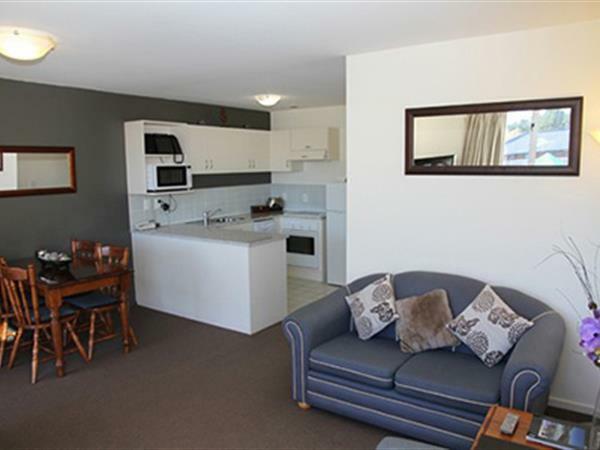 An open plan lounge/kitchen/dining with full kitchen facilities allows guests to enjoy a cosy night in after skiing or enjoying Methven's other activities. Apartments have all been upgraded with flat screen LCD TV's & offer Sky. Relax after a long day in the spa bath with shower and there is a separate toilet. Two bedroom apartments will interconnect with a studio room to make a three bedroom apartment & complimentary laundry facilities are shared with the studio opposite. Three bedroom apartments: These apartments are comprised of a two bedroom apartment & studio interconnected together. They are well appointed & self-contained, suitable for up to 6 guests. Bedding can either be two queen beds + two single beds or one queen bed + four single beds. They are ideal for a family with three separate bedrooms, 2 bathrooms, 2 toilets, full kitchen + kitchenette & private complimentary laundry facilities. GOLF. Methven Golf Course is nationally recognised and known as the best country course in New Zealand. Terrace Downs Golf Resort is a brand new exciting course of international standards. SKIING. Mt Hutt, one of the best ski fields in New Zealand well known for its consistency of snow and long season. HELI-SKIING. For those who want to get away from the crowds and have a mountain for their own enjoyment. FISHING. Fish Lake Coleridge or the Rakaia River. BALLOONING. Magical sky experience, giving you a tranquil and majestic flight which no other aircraft can offer. The ultimate adventure touched with serenity and romance. JET BOATING. Through the spectacular Rakaia Gorge. HORSE POWER EXPERIENCE. Tandem Sulky racing behind some of the country’s fastest race horses. Have your own corporate race day. WHITE WATER RAFTING. On a choice of three rivers. SCENIC FLIGHTS. 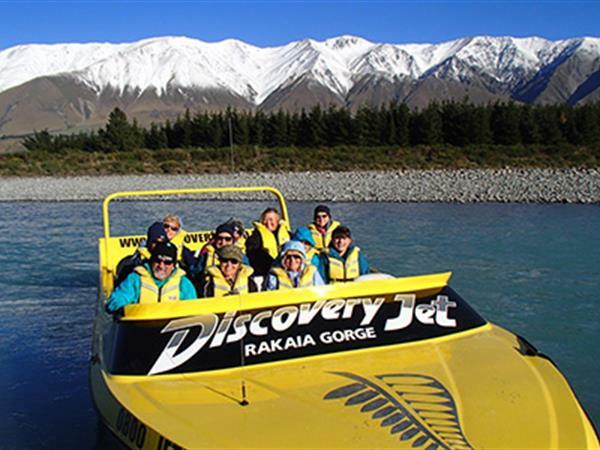 An ideal way to view the magnificent Southern Alps and Canterbury plains. HORSE RIDING. Trekking through the Rakaia Gorge. TANDEM SKY DIVING. For the fearless. If you think your people are up to the challenge, this is a truly bonding experience, and much safer than you would believe. TRAMPING. Local guided tramps taking in the beautiful scenery.